Now this is fun! And time consuming, WHEW. I put up a quilt and a few of the things I made for the Jewelry Class at Craftsy and it was easy so I put some of my handknits up there too, as projects. Within 24 hours I have “hearts” and even some comments. This inspires me to go ahead and put some of the sweaters and things on Etsy and see what comes of it. It costs 20 cents per listing so it won’t be expensive to find out and I will only have to pay the final fees if they sell. This is such a sweet cardigan. 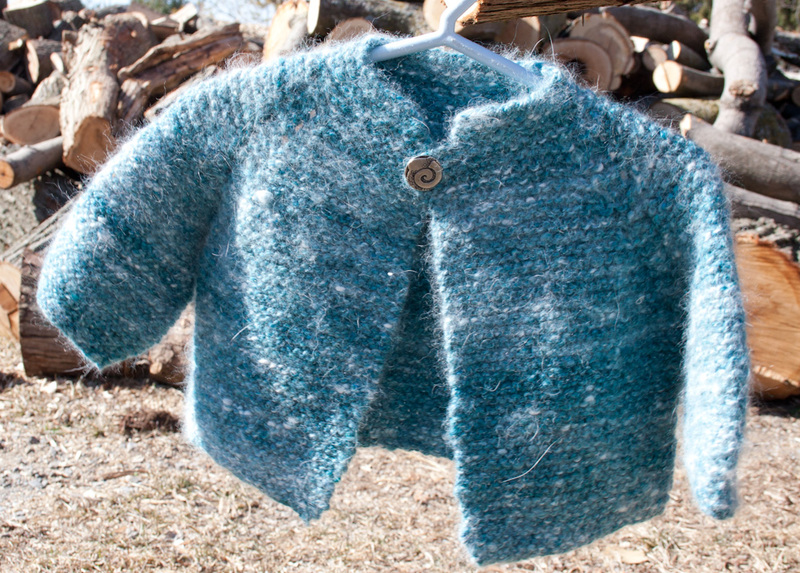 An original design for baby in handspun Angora Rabbit fiber blended with Merino wool and silk. One of my first jewelry designs. 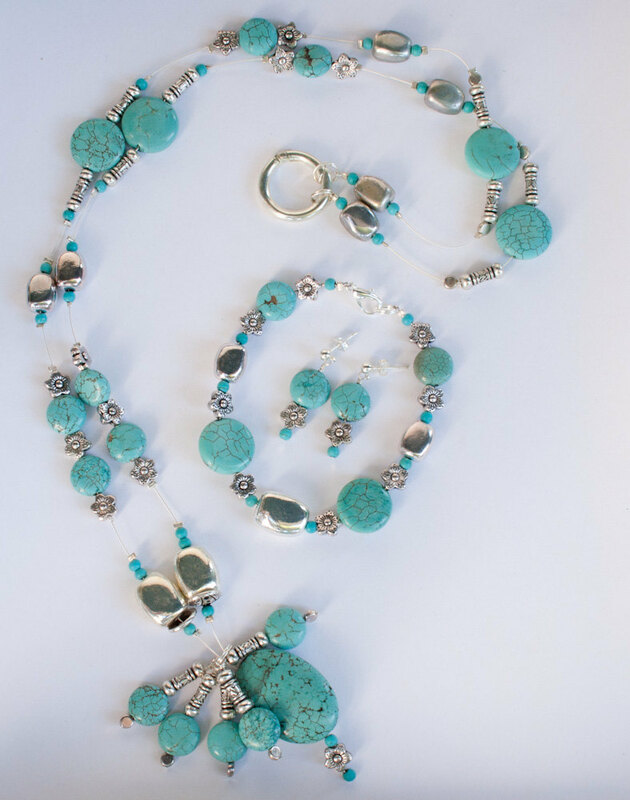 I love the turquoise beads with the silver nuggets and accent beads. My first double wedding ring quilt. 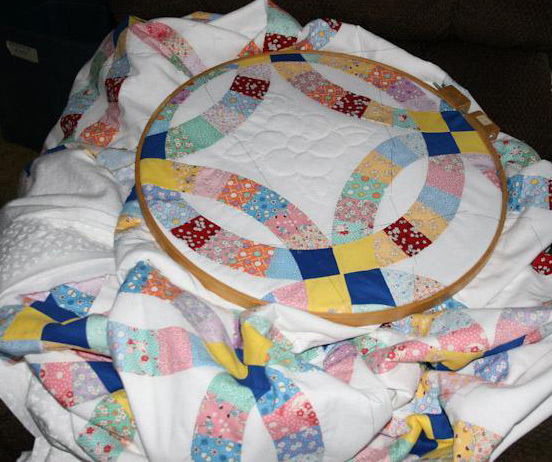 Pieced by machine but quilted entirely by hand. Made as a gift to my son and his wife on their wedding day.